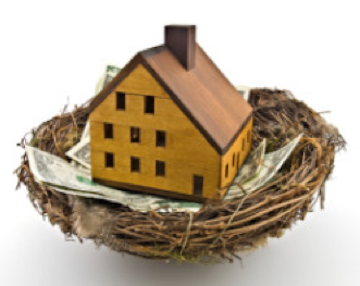 Ask everyone you know over 40 this simple question: Where is their largest nest egg? Some will say their pension, and it might be. Some might point to their business or Social Security. But the vast majority of folks have their largest single equity position in their home. For every $250,000 in value, there is likely to be a potential $1000 a month income stream in rent. Even if your pension is more than that, $1000 a month in retirement is nothing to sneeze at. But the fun doesn't stop there. You buy a home with a $1000 a month mortgage in 2015, and 15 years from now the mortgage is still $1000 a month. Did that every happen with your landlord. Not a chance. When you rent, a landlord can send you packing anytime they feel like it (assuming the lease allows or they are willing to break the lease.) Maybe they want to knock down the building an use it for another purpose. Maybe they want to convert to condos. That can't happen when you own. Are you tired of the nasty, old fashioned kitchen in your apartment? Do you love communal clothes washing? And then there are those neighbors. Do you go for a lower floor and have noise above? Or do you go for an upper floor and tip toe around. Does grandpa next door have a hearing problem, and you get to listen to his TV at 5:00 AM? I've always hated the idea of forced savings. I'm a big boy. I'll save. Not! I saved through the company 401k, my life insurance, and my home. All "forced" savings. Maybe you are good at putting that 10% aside every month, and never using it for a large, important expense.